Growing choice, dropping costs and greater range are just some of the reasons electric vehicles are increasingly popular and a realistic choice for many motorists these days. If you’re considering going electric for your next vehicle, have a look at the pros and cons of electric cars, and how they stack up against conventionally powered vehicles, to help you make a decision. Electric cars are generally one third cheaper to run than conventionally powered vehicles on a cost-per-mile basis, which could make a welcome difference to annual fuel bills, though keep in mind electricity costs vary across the country. Two Edmunds editors who drove Nissan Leaf EVs for three years both reported saving money on fuel and oil changes compared to the gas-powered cars they replaced, with one writer saving $3,400 in fuel costs over his 30-mpg Honda Fit commuter car. Fewer moving parts to wear out and replace also cut down on maintenance costs. Buying an electric car doesn’t have to mean settling for a bland driving experience. Power is delivered quickly resulting in levels of torque and acceleration that compare favorably to many conventional cars with similar power. At the top end of the market, the Tesla Model S can get from 0 to 60 mph in 2.5 seconds. As a pedestrian, you may have jumped when noticing an electric car creeping up along a street with just a whisper. Electric-powered engines mean EVs are not only quieter but generally smoother to drive than vehicles with internal combustion engines, which may make for a more relaxing experience on the road. Getting home from work and plugging your car into your charging unit is easy, and cuts out the need to go to the gas station again, at least for fuel, anyway. Shared charging stations for apartment blocks, as well as public and workplace charging stations, are increasing in number to make recharging more accessible. While some emissions may be produced to make the electricity on which electric cars run, EVs themselves have no tailpipe emissions (or tailpipes, for that matter). Gas- and diesel-powered cars and trucks, on the other hand, emit fumes harmful to our health and the environment. EVs generally cost more upfront than similarly sized conventional rides and a consumer survey carried out for RoadLoans showed the high cost of purchase to be the top turn-off for ownership. Prices are falling, though, and federal tax credits up to $7,500 are available to offset the cost, while some states offer incentives, too. It may also be worth considering buying used, after someone else has taken the depreciation hit. In fact, some of the fastest-selling used cars are now EVs. 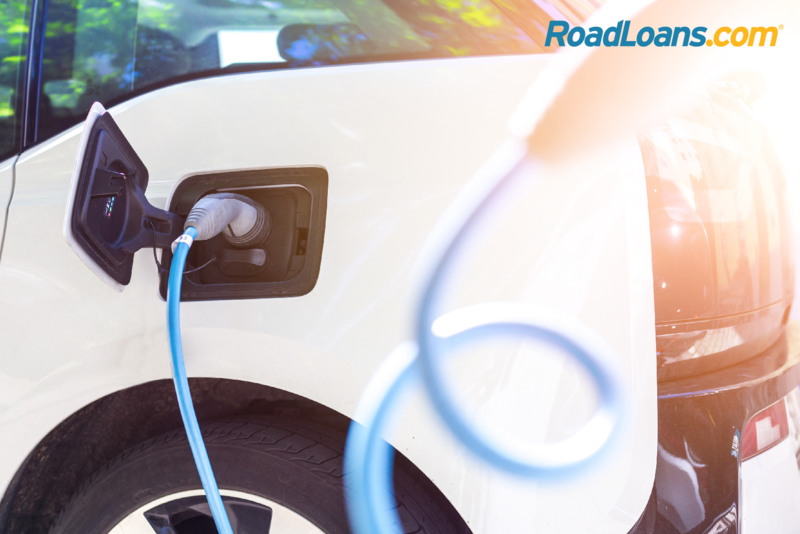 Range anxiety is a major concern among prospective car buyers and encountering a flat battery was the biggest worry about purchasing an electric vehicle within our RoadLoans survey. There are numerous electric vehicles with ranges over 100 miles, which is fine for the average daily round-trip commute of 30 miles, but not so good if you want the flexibility to go interstate or take a road trip. The longest ranges tend to come with the more expensive models, with the likes of the Tesla Model S, which offers a range of 335 miles, starting at $68,000. Yet the more affordable Chevrolet Bolt (from $37,495) and Tesla Model 3 (from $35,000) come with ranges beyond 200 miles, and other such vehicles are on the way. It takes a lot longer to recharge a car’s battery than to fill up a tank with gas. Times vary depending on the size of the battery and the speed of the charging point, but it typically takes a number of hours to fully charge. Adding 25 miles of range per hour is common with 240-volt sources. DC fast-charging stations speed up the process, providing 90 miles of range in 30 minutes for the new Chevrolet Bolt, for example. The choice of electric cars is much smaller than the array of gas and diesel vehicles on the market, and it will take a while for that to change. Options are expanding all the time, though, from automakers across the industry. Vehicles expected to arrive this year include SUVs such as the Kia Niro EV, Hyundai Kona EV, Jaguar I-Pace and Audi E-Tron Quattro. If you’re not ready for an all-electric model, hybrid cars expand the options further. Hybrids run on a gasoline engine with an electric motor to add power when needed, while plugin hybrids (PHEVs) rely on the electric motor but have a gas engine as a backup power source. There are relatively few public charging stations across the country, with a University of Michigan report last year counting 16,000 compared to 112,000 gas stations. As you would expect, infrastructure to support electric cars is expanding quickly along with the growth in EV sales. Volkswagen, for example, has agreed to install 2,800 charging stations in 17 U.S. cities, spread over 500 locations, by June 2019, with 75 percent at workplaces and others at multi-family homes like apartment buildings, and in high-traffic areas. Electric vehicles are not for everyone, and gas-powered cars are certainly not about to disappear overnight, but the numbers show they’re tempting more car buyers to part with their money and get behind the wheel. Last year saw a record number of electric cars sold in the U.S., at nearly 200,000, and 2018 sales are expected to surpass that figure. Thinking about the pros and cons of electric cars will help you decide whether you want to plug in, too.